A director who worked with Michael Jackson on a world concert tour was the first prosecution witness called Tuesday after opening statements in the involuntary manslaughter trial of Jackson's personal physician. Kenny Ortega worked on Jackson's "Dangerous'' world tour and several other Jackson tours and appearances. He testified in January at Murray's preliminary hearing. The international star was "excited about the historic proportions of doing 50 shows'' as part of "This Is It," he testified. But when Jackson arrived at a June 19, 2009, rehearsal -- about a week before his death -- he "didn't seem to be well enough to be there," Ortega said at the preliminary hearing. In court Tuesday, Ortega testified in greater detail about Jackson's appearance and demeanor in the days leading to his death. Prosecutors played this audio recording during opening statements at the trial of Dr. Conrad Murray. "Michael appeared lost, a little incoherent. I did feel he was not well at all," Ortega testified. Ortega read from an email he wrote where he expressed his concerns. "He really wants this (referring to his 'This Is It' show). He is terribly frightened this is going to go away," Ortega testified. Ortega also told the court Murray was upset with him because he did not let Jackson rehearse that week. Dr. Murray, according to Ortega, told him to direct the show and leave Jackson's health to him. A second "This Is It" concert executive, Paul Gongaware, was second to take the stand Tuesday afternoon. Murray initially wanted $5 million a year to become Jackson's personal doctor, said Gongaware, but later agreed to $150,000 per month after learning the amount was suggested by Jackson. The prosecution will try to prove Murray was motivated by greed. Earlier Tuesday, attorneys for Murray said during opening statements that Jackson self-administered the powerful anesthetic propofol and created a "perfect storm in his body" that led to his death in June 2009. 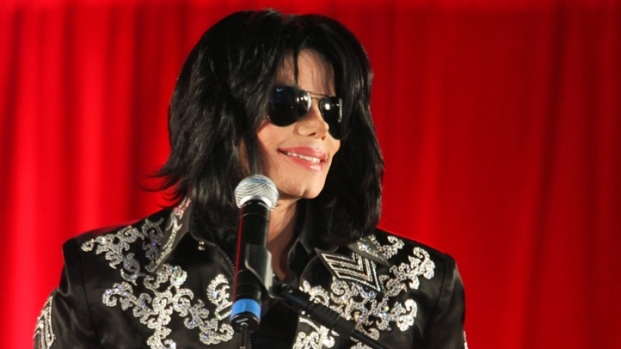 It was the pop star who caused his own death, defense attorney Ed Chernoff said as he took the jury back to June 25, 2009 -- the day the King of Pop died at a rented Holmby Hills mansion. Jackson swallowed several lorazepam pills on the morning of his death, Chernoff said. "Michael Jackson was frustrated because he could not sleep, frustrated because his doctor refused to give him a drug he preferred," Chernoff said. "He did an act without his doctor's knowledge, without his doctor's permission... he did an act that caused his own death." Jackson also self-administered the anesthetic propofol without Murray's supervision, Chernoff told the jury. "That, with the lorazepam, created a perfect storm that killed him instantly," he added. "He died so instantly, he didn't even have time to close his eyes." A seven-man, five-woman jury is hearing the case against Murray more than two years and three months after Jackson's death. The Los Angeles County Coroner's Office determined that Jackson died of acute propofol intoxication and classified his death as a homicide. In their opening statement, prosecutors referred to Murray as "incompetent" and "unskilled." They played audio of Jackson from a May 10, 2009, voice recording on Murray's phone. Jackson's speech is slow and slurred as he describes his expectations regarding his upcoming concerts. "I want them to say, 'I've never seen nothing like this in my life,'" Jackson said on the recording. "That is what Conrad Murray is seeing and observing," said Deputy District Attorney David Walgren. "What does he do? On May 12, he orders another shipment of propofol." Walgren described Jackson as highly under the influence in the recording. The doctor was more interested in collecting the $150,000 per month that Jackson was paying him than he was in caring for his patient, Walgren alleged. The amount of propofol in Jackson's body that day was equivalent to the amount used on a person under general anesthesia for surgery, Walgren added. Opening statements also included a picture of Jackson's body on a gurney with the word "homicide" printed above the image. Murray arrived Tuesday in a van, which was escorted into an underground garage. As he walked down the ninth-floor hallway, a woman who rushed at him was restrained by two sheriff's deputies. Jackson family members, including his parents and sister Janet, were at the hearing. Several seats in the courtroom are reserved for members of Jackson's family. "It sickens me to see what they did to my brother!! Seeing his lifeless body laying there on the gurney is heart wrenching!" tweeted the pop star's sister, La Toya Jackson. Jackson fans, some dressed as the pop star and carrying signs, gathered outside the courthouse early Tuesday. Murray, 58, was charged in February 2010 with involuntary manslaughter. If convicted, faces up to four years in state prison. The defense claims Murray is wrongly accused and suggests Jackson self-administered a larger, lethal dose of the anesthetic propofol when Murray left his bedroom at the mansion. "The defense is going to say the doctor did everything medically appropriate that he was supposed to," said legal analyst Lou Shapiro. Prosecutors claim Murray administered the the drug to help Jackson sleep after a rehearsal for a series of "This Is It" concerts in London, then failed to properly monitor his patient. "The prosecution is going to say this straight out, 'It doesn't matter if Michael Jackson administered this himself, or not. The doctor created the negligible circumstances that led this result,'" Shapiro said.